Samsung recently launched a line of innovative televisions that is going to blow your mind! When Samsung invited me to the launch of their new 4K Ultra HD Frame TV at a gallery space in Soho this past week, I was excited to see the latest and greatest but this new product blew me away. You guys know I’m obsessed with home décor but the televisions in my living room and bedroom feel like eye sores in my very white mid century apartment. My color palette is white, greys, natural wood tones with black accents but wouldn't it be great if that was just a vase and not the 50 inch monster across the wall? It’s something we all just sort of deal with but no more. The new Frame TV from Samsung has all of the latest tech bells and whistles – “4K, HDR, upscaling, smart features and Dolby Digital Plus, but what you also get is a statement piece that stands out from home’s décor.” Now when your TV isn’t in use it's not just a dark screen on your wall, it’s a piece of art with customizable frames - pre-loaded with 100 pieces of artwork and photography to choose from (and you can upload your own photos!). Imagine being able to switch out your artwork easily with just the click of a button. And it has a wall-flush mount so it really does hang just like a picture on your wall. To take it one step further, Samsung has also done away with the struggle of trying to manage tons of cables and wires by including Invisible Connection, which helps leave your space uncluttered and clear - the way I like it! 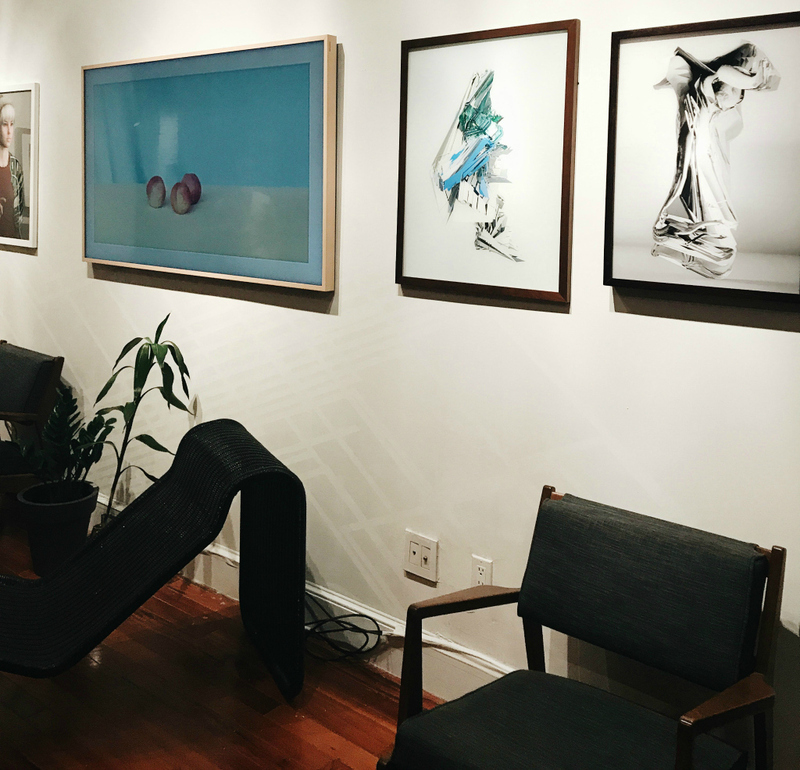 Take a look below at how Samsung set up this gallery space, this could be your living room! There are so many ways to style around The Frame TV in your home no matter what your style is... My mind is blown! More Product Details and Pricing Here.